WYTHE COUNTY, Va. – Wythe County’s Emergency Management Team is currently monitoring the potential impact the remnants of Hurricane Irma may have on Southwest Virginia. Weather Service meteorologists say the strongest winds will occur across the higher elevations along the southern Blue Ridge and foothills as well as parts of the Mountain Empire region of southwest Virginia tonight. The strong easterly winds, with gusts up to 50 mph, could combine with wet soils to bring down trees. Such a scenario could lead to isolated power outages in the locality. 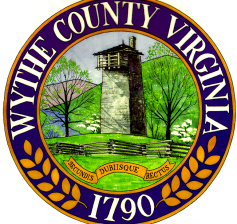 Due to the possibility of power outages, residents are being encouraged to ensure they have all necessary supplies should Wythe County experience any type of outage. Residents are also being asked to use added caution when traveling or around trees. For more information on how to better prepare for natural disasters, individuals may visit www.VAemergency.gov.